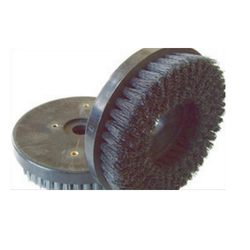 We are prominent manufacturer and supplier of supreme quality Floor Abrasive Filament Brushes that are used for various household purposes in various kitchens. Snail Lock Abrasive Brushes are used in side grinding machine and step retreading machine. Include eleven filaments: stainless steel, steel+36#, 36#, 46#, 60#, 80#, 120#, 180#, 240#, 320#, and 500#. 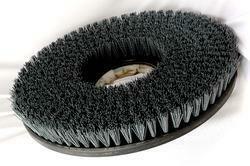 Chamfering Brushes are available in Dia100mm, Dia 130mm and Dia150mm sizes. - We make deburring brushes of all shapes and dimensions. We also make custom deburring brushes for deburring recessed areas. Keeping in mind ever-evolving requirements of our respected clients, we are offering a premium quality array of Antique Abrasive Brush.